Solar Pool Heating Las Vegas lets you retain warm water temperatures by harvesting energy from the sun. Solar Pool Heating is easy to maintain, cost efficient, and warms your pool without the high cost of gas or electric heaters. You can enjoy your pool for 8-10 months each year due to solar pool heating. That is 3 times the swim time with a non-heated pool. Best of all you won’t have any costly gas or electric bills to pay. Las Vegas Solar Pool Heating systems can be installed with any pool, both new and old. Our solar collectors can be mounted on a roof or on a ground rack. 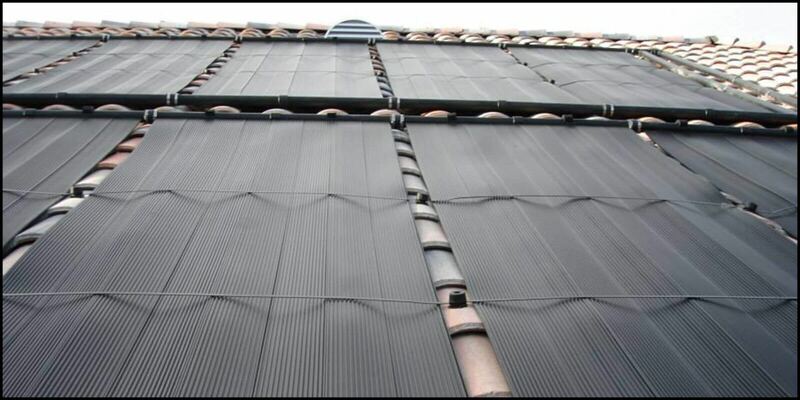 Using a pool pump, water is circulated through hundreds of specially designed fluted tubes in the solar collectors. The pool water is heated in the collectors and returned to the pool through your existing pool plumbing.